This Frontier Collection Howling Wolf Damascus lockback knife has been hand-crafted with scrupulous details offering authentic Southwestern accents. 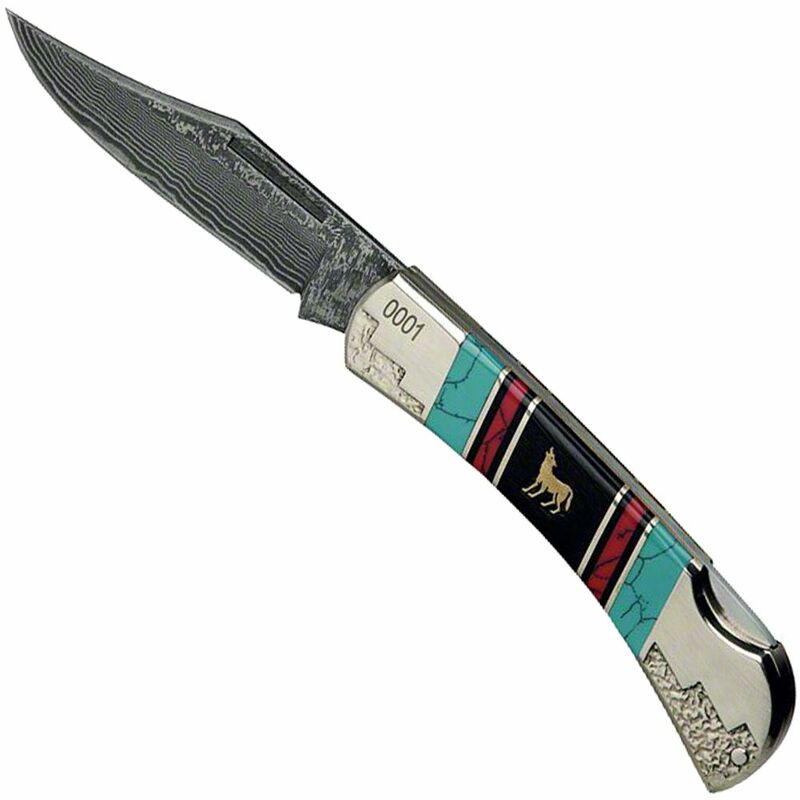 Elegant hardwood and turquoise handle scales are accented by polished brass inlays, bolsters and howling wolf shield. Intricately file-worked details have been added by crafted artisans to reflect the decor of the frontier period of the Old West. The 3 ½” 71-layer 8CR13MOV Damascus blade has been honed to a razor’s edge and then individually laser-serialized using advanced blade etching techniques. Each knife is built with the quality and craftsmanship of United Cutlery, so it is not only an excellent cutlery tool, but also a prized collectible. 4 ¼” cl.